Following in the traditions of middle-age guilds, brotherhoods, fraternities, and gentlemen's clubs (such as Freemasons, Odd Fellows, and Foresters) evolved as forerunners of trade unions and friendly societies. Brotherhoods and fraternities such as these can still be found today, with the tradition of cigar smoking being incorporated as a bonding mechanism being traced back to such groups as far as the 1800s. Keeping this tradition alive, Hiram & Solomon Cigars has introduced the Masonic Cigars brand, honoring the Brotherhood of Freemasons across the world; as founders WB Fouad Kashouty and George Dakrat are both practicing members. The company incorporates fundamental aspects of Freemason teachings, donating a portion of proceeds to various charities, as well as inspiring brotherhood between Masonic and non-Masonic communities alike. 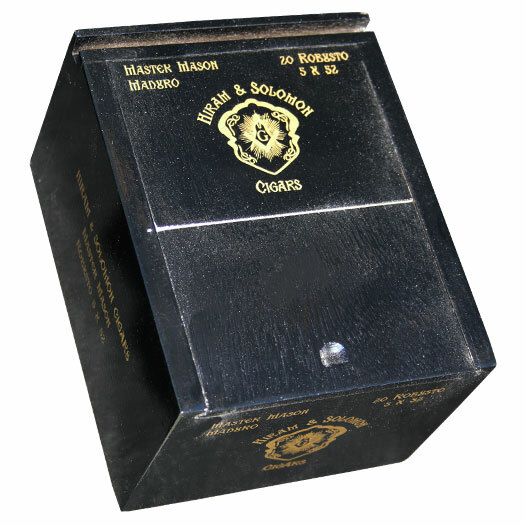 Master Mason is named for the top tier of the medieval craft guilds, offering an impressive range of flavors from a blend of Habano-seed leaves in the filler (Jalapa, Ometepe, and Estelí), an Indonesian Sumatra binder, and a dark, oscuro-shade Habano wrapper. The end result is a full-bodied profile, loaded with heavy flavors of baker's cocoa, leather, sweet cedar, toasted nuts, and various aromatic cabinet spices.